Tyler has an excellent academic record and have proven an outstanding leadership skills during his school years. He participated in many school projects, including Student Council (Co-President), Maples Amnesty International Group (President), Annual Social Justice and Stewardship Fair and peer tutoring. Outside the school Tyler volunteers at Take Pride Winnipeg, Seven Oaks Hospital, M.S. Society of Manitoba and performs Special Needs turoring. Tyler takes pride in his Ukrainian inheritance. As part of his involvement in Ukrainian community, Tyler has been volunteering at many activities and events at his church – Blessed Virgin Mary Ukrainian Catholic Church and actively participated in Folklorama and various Ukrainian community events. Tyler Spencer plans to pursue a Science Degree at University of Winnipeg and then a Medical Degree at University of Manitoba. Michael is a very gifted and enthusiastic student. While in school, he was involved in Youth in Philantropy group, was member of Vietnam Orphanage Committee, participated in school’s Key Club and was a peer tutor. 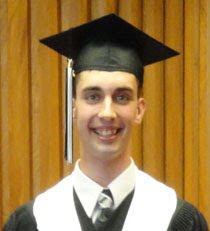 Despite his demanding academic schedule and extra-cirricular involvement, outside of school, Micheal volunteered at the Canadian National Institute for the Blind and at Holy Family Home. Michael is very proud of his Ukrainian heritage and is actively involved in Ukrainian community. He volunteered at Folklorama Ukraine Pavilion for the past 7 years. He is a President of Sts. Vladimir and Olga Cathedral Altar Servers where he organized bake sale for orphanages in Ukraine. In the past, Michael was a member of Ukrainian National Federation School of Dance. 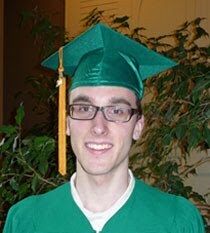 Michael Szelemej plans to pursue a graduate studies in the area of science at University of Manitoba. Missed the RRSP contribution deadline?